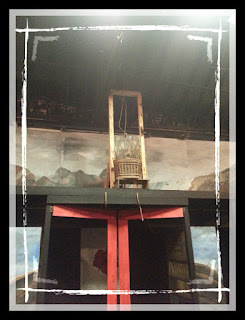 We went to the performance of The Scarlet Pimpernel at The Empress Theatre last Saturday night, and absolutely loved it! This was our second time attending a performance there, and they did not disappoint! I had never heard the story of The Scarlet Pimpernel, so I wasn't sure what to expect, especially for my 7 and 9 year old. They loved the story, and were especially intrigued about the guillotine and the punishment "back in those days". We loved that it had hilarious parts, and also some serious parts. It was fun for us to recognize many of the actors and actresses from The Christmas Box playing in The Scarlet Pimpernel. I attended the performance with my husband, mother in law, and two kiddos, ages 7 and 9. We all thoroughly enjoyed the show, and my mother in law even mentioned she would like to see it again with a group of her friends before the performances end. This was my kids' first introduction to the guillotine. They were intrigued that there was a machine to cut off people's heads instead of just putting them in jail like we do now. They also loved the Pimpernel's men, and how they dressed up in "fancy" costumes as their disguise. The man who played The Scarlet Pimpernel did a fabulous job, and was animated at just the right times, but then serious at appropriate times. He won us over and had us laughing out of our seats! The man who played the villain did a fantastic job of being terrifying. It was great to see him in the foyer after the play for my kids to get a chance to see how he is in "real life", and that he's not really that mean. We can't wait to return in February to see him in "Big" as grownup Josh! What can I say about the singing? Wow......there are no words! The voices of the actors and actress that played the main characters of Percy, Marguerite and Chauvelin drew wild applause from the crowd. Their ability to hold notes as long as required was amazing. 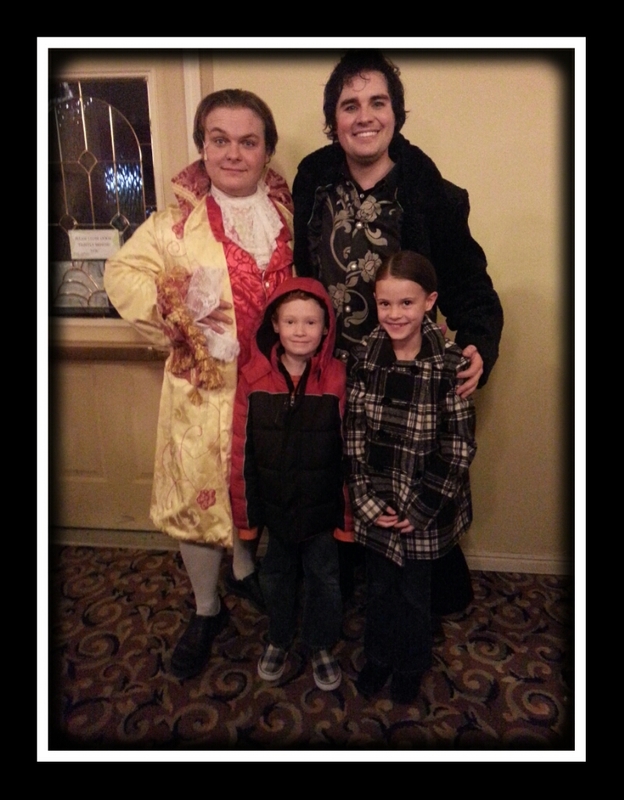 The Empress Theatre in Magna has definitely won our family over, and we can't wait for the next production! It has quickly become a favorite family activity that we can't wait to share with everybody else! I said this in my review of The Christmas Box, and I will say it again: it is so nice to be able to attend a performance and not get ripped off from concession prices! We can all enjoy a drink and a treat and not break the bank. Their concessions are very reasonably priced, and we make it a priority to purchase concessions to show our appreciation that they have kept their prices down! 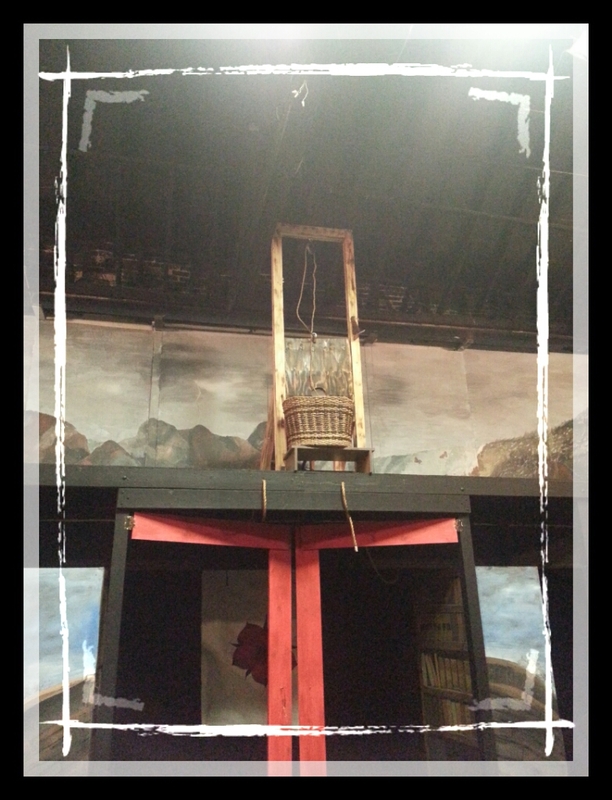 The Scarlet Pimpernel is playing now through January 26th, every Monday, Friday and Saturday. All tickets are $10, and can be purchased online or at The Empress Theatre box office in Magna. I was provided with two complimentary tickets to view The Scarlet Pimpernel, and did not receive any kind of financial compensation for my review, nor was I persuaded to write a certain type of review. The opinions and views expressed in this review are all my own. Yeah Michelle!! I'm so glad you love this little theater!! It is so much fun! As someone who is a friend of the main actor (Percy) I can't tell you how much he'll enjoy reading this. The scarlet Pimpernel is a production that he has dreamed of doing for years and was very excited to be a part of the Empress' rendition. Also, he pretty much acts like his character at all times-so it definitely can be said that Curtis Nash was born to play this role. I'm glad you enjoyed it!